Ozark Shoot-Don’t Shoot Solutions, LLC. has one goal in mind: helping others train to be more ready and able to protect themselves and their families in the event of a dangerous human confrontation. In today’s world it seems like criminal and violent attacks are everywhere we turn. 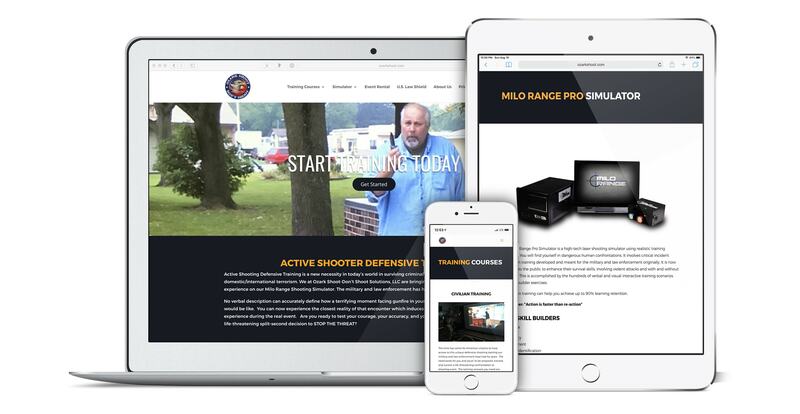 Ozark Shoot-Don’t Shoot wants you to be ready for anything by teaching you the skills you need to stop a threat with their Mobile MILO Range Simulator — a training simulator that has been used by the military and law enforcement for years. Mike and Jackie Deans, the co-owners of Ozark Shoot-Don’t Shoot, are both certified MILO instructors that are now living out their dream by training law enforcement and civilians how to reduce their likelihood of becoming a victim of deadly assaults. By teaching individuals how to make those split-second decisions in those volatile moments, they hope to be able to save lives.